Indian Politician and DMK Party leader M. Karunanidhi passed away today. 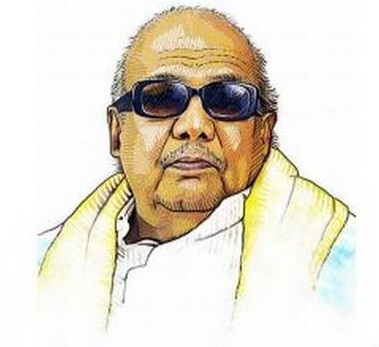 He is popularly known as Kalaignar (artist). He was the 3rd Chief Miister of Tamil Nadu state. He served as the Chief Minister of the state for 5 separate terms during the 1969-2011 period. Before entering into politics, he worked as the Screen writer in Kollywood industry. He is also famous as a writer. He contributed for more than 100 literary works. He wrote many novels, poems, stage plays and songs. Some of his famous books are Sanga Thamizh, Thirukkural Urai, Ponnar Sankar, Romapuri Pandian, Thenpandi Singam, Vellikizhamai, Nenjukku Needhi, Iniyavai Irubathu and Kuraloviam. Important Point to Note : On 27th July 2018, he became the 1st Indian political figure to lead a party for 50 years.